Looking for Other Medical Marijuana Industry Promos? Click Here to View Them All. 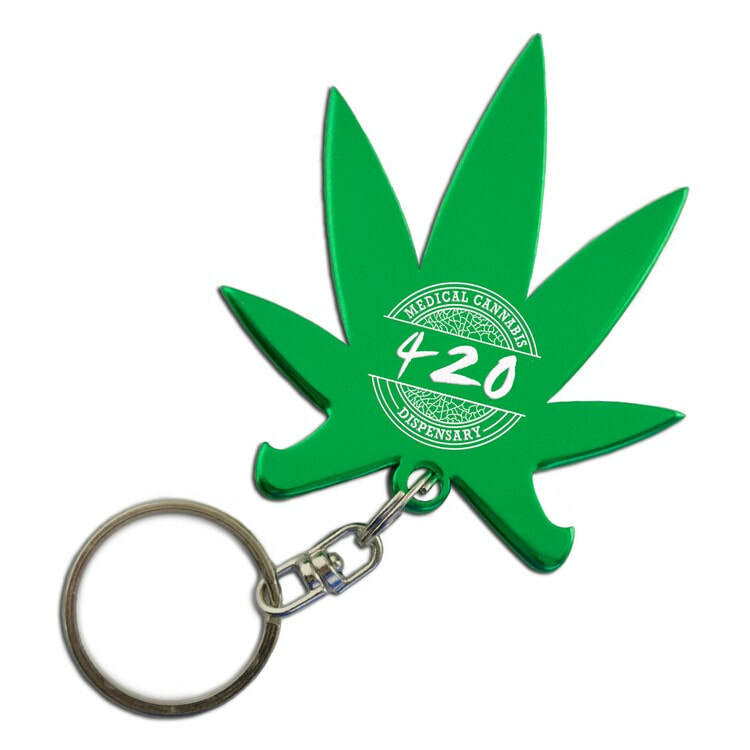 These marijuana leaf shaped promotional bottle opener keychains are made of quality anodized aluminum, the same material that most of our top selling keychains are made of. Due to their color and shape, these really catch the eye and make great giveaways at industry business functions for smoke shops, dispensaries, vape shops, clinics, and industry-specific trade shows and conventions. Due to the boom in the industry in certain states, legal suppliers are scrambling for innovative ways to promote their legal businesses, and these promos are a great place to start.